(TULSA, OK January 17, 2019) FlyingTee is taking a step back in time, opening its driving range for medieval era target practice. 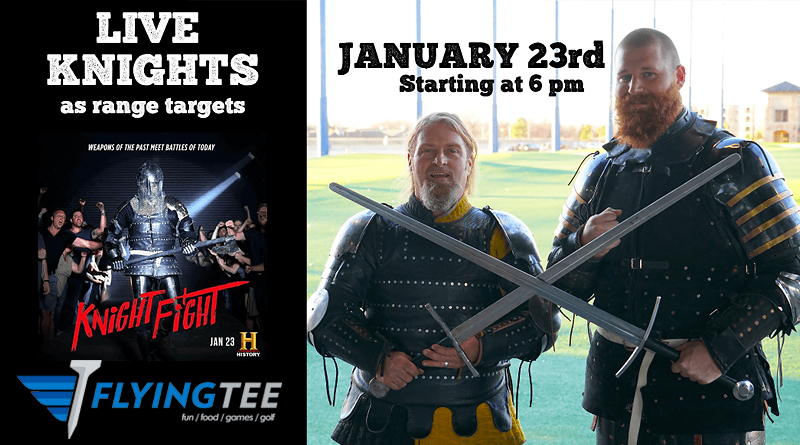 The Tulsa Tyrants of the Armored Combat League will stand on the green for guests to try to hit, Wednesday, January 23 to kick off the History Channel’s new series, Knight Fight. The challenge is part of FlyingTee’s Knight Fight Premier Watch Party. The event will begin at 6:00 pm, with live action sword fights in the 19th Hole putting garden area, followed by a meet and greet session with the Tulsa Tyrants. 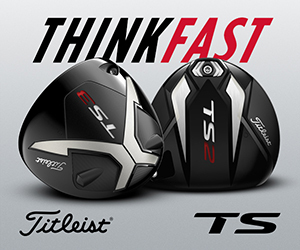 Then, the brave knights will march to the range and test their suits of armor against a barrage of golf balls. $20 bay reservations can be made online. Guests are asked to mention the Knight Fight Night when they check in, as FlyingTee will donate 10% of proceeds from the event to the Tulsa Tyrants, an official amateur sports team under the Armored Combat League. Joining in the fun will be Got Wood Ax Throwing. The Jenks location will have an ax throwing bay setup at FlyingTee for guests to try their hand at some old fashion fun. A foodie, a sports fan, and a tech geek wanted a place they could all enjoy and bring their passions to life, and FlyingTee is the result. Featuring high-tech, climate-controlled, year-round indoor/outdoor bays, chef-inspired menu, craft beverages and team members ready to create an unforgettable experience for each guest; FlyingTee is the place Tulsa goes to play! 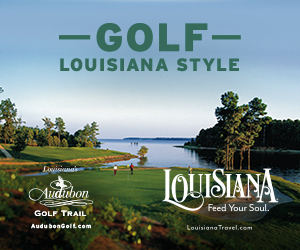 FlyingTee provides a unique entertainment + golf experience for beginners to pros, dozens of games in and out of the bays, 300+ HDTVs, live music, arcade games, karaoke and more. Whether you’re looking for a memorable corporate event, quality family time or to indulge yourself with an exciting evening out, FlyingTee is the place to be.